Interests: camping and exploring the great outdoors, spending time with family & friends, following the local football, cooking and keeping fit. "I really love my job and get a great deal of personal satisfaction from it." 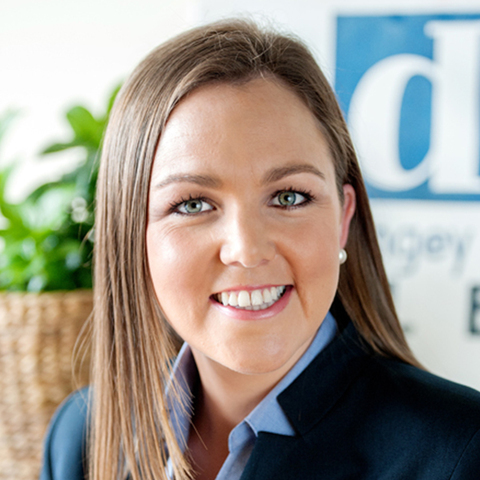 Born and raised in Bendigo, Makayla started her career in real estate with DCK as a casual in 2003, before jumping at an opportunity to take on a full time reception position. From there she quickly progressed to Assistant Property Manager before securing a Property Manager’s role in July 2007. As a Senior Property Manager, Makayla currently performs a business development and management role, mentoring and supporting the ongoing training & development of our Property Management Team. “Working my way up through the Property Management department has provided me with invaluable tools, knowledge and experience - I feel the real value definitely comes from having had the hands on training and on-the-job experience in many different roles. It’s allowed me to build a comprehensive understanding of the responsibilities and tasks required to competently manage all aspects of the property owner/tenant experience and relationship. Doing my job well means everything to me. I pride myself on providing prompt, personalized service to all my clients and feel my attention to detail combined with high personal standards and proactiveness to initiate and follow up action are definite strengths I bring to the role. I have been very fortunate to have built many great relationships with both tenants and landlords over my time working in the industry. Personal success for me is receiving positive feedback and repeat and referral business because if my clients are happy, then I’m doing my job well and I enjoy a great sense of achievement from knowing this. I love the dynamic nature of the real estate industry. Being a super organized person I try to ensure I’m always ready to deal with the unpredictable and sometimes challenging nature of property management work. There are always new people with different needs in this job; and this means you have to be on the ball because sometimes the process can be complicated by other issues or personal circumstances — but helping people makes for an exciting career! Our Team is made up of well trained and experienced professionals who have access to the best resources available. Add that to great systems, processes and procedures (with terrific back up support) and it means we can provide a quality service you can't find elsewhere."